I will be giving a short talk about needlepoint technique and design on Friday August 23rd at 2pm as part of the Arts Unleashed festival in Annapolis Royal this week. Come out and try your hand at a few stitches ! 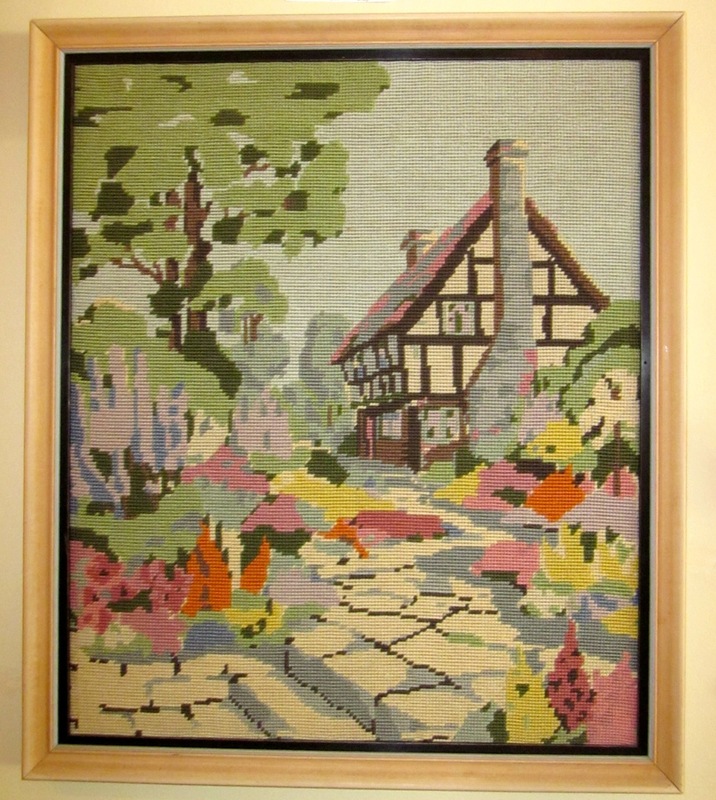 Cottage needlepoint from 1943 ($95). 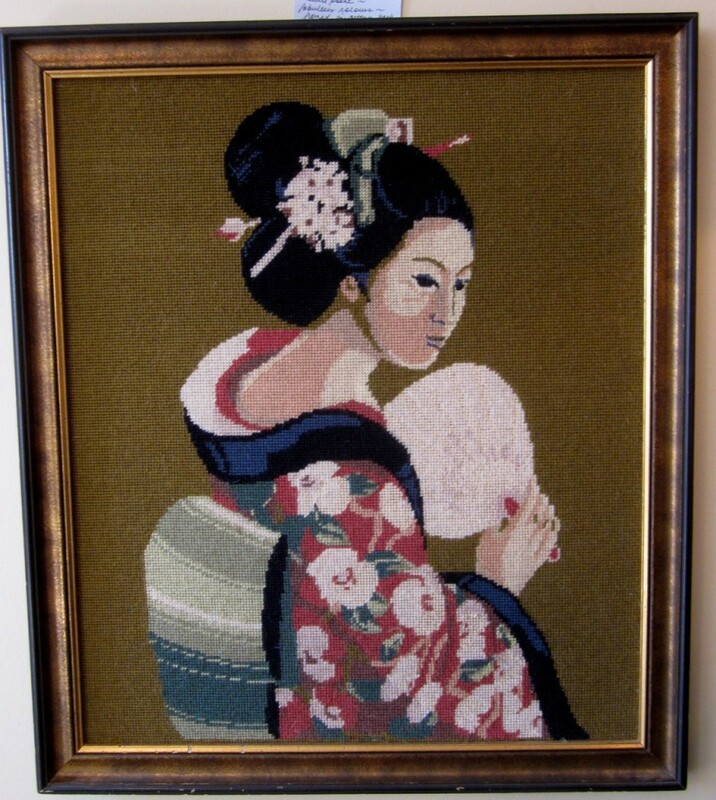 A vintage needlepoint of a Japanese lady ($95).